Adding 18 K Gold plain beads offered by Ratna Sagar will not only augment the list of jewelry items in your jewelry box but will also offer you variety of jewelry item varying from simple necklaces, rings, earrings to necklaces, rings, earrings etc made from gold beads. Moving ahead as these beads are handmade they are different from beads made by machines. Therefore as the beads offered by Ratna Sagar are handmade they will seize more appreciation by everyone on wearing them as compared to gold beads made by machines. 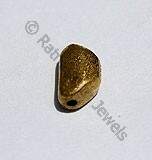 It would be interested to know that these beads can also be mounted on any of your jewelry item and explore its look. 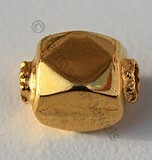 Handmade solid genuine 18k Gold Beads and findings for designer gemstone jewelry making are available in 75.6 percent of purity and yellow in color, Smooth Polished Square Shaped Beads. 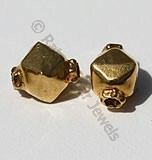 Handmade solid genuine 18k Gold Beads and findings for designer gemstone jewelry making are available in 75.6 percent of purity and yellow in color, Smooth Polished Capped Octahedron Beads. 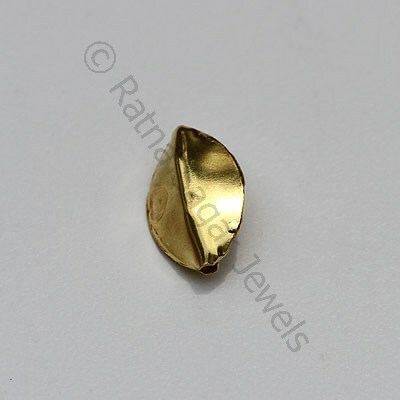 Handmade solid genuine 18k Gold Beads and findings for designer gemstone jewelry making are available in 75.6 percent of purity and yellow in color, Smooth Polished Quadrilateral Shaped Beads. Handmade solid genuine 18k Gold Beads and findings for designer gemstone jewelry making are available in 75.6 percent of purity and yellow in color, Smooth Polished Spherical Shaped Beads.